For those who are fans of Italian football, the match between Juventus and Fiorentina was exciting to watch. Though Juventus won in the end, the match was an exciting one as they managed to win against their opposing team who kept up a vigilant front. Juventus has now moved closer to gaining the title in Serie A, fifth time in a row. For those who missed the match, Massimiliano and his team had the opportunity for a goal in the first half. This was disallowed as Sami Khedira was on the offside. Viola on the other hand, was denied an opening strike. There was more drama in the match. Nikole Kalinic put in an equalizer when there was ten minutes left in the game. However, this was cancelled out as Alvaro Morata struck out soon after that. Former Liverpool manager Rafa Benitez may turn the Newcastle United players into robots in the attempts to salvage the club’s Premier League status. Newcastle turned towards the former Liverpool boss after recently parting company with Steve McClaren. The former England manager left the club facing yet another relegation within a decade. Jamie Carragher is one of those names to have played under Benitez for a considerable amount of time. As a manager, the Spaniard spent much of his career at Liverpool. Carragher says that opposition feared playing against Liverpool since they would not give any space to breathe. Would a Leicester title be the biggest ever shock? Leicester City’s transformation under Claudio Ranieri has been truly remarkable. Last season, the club only just secured their Premier League status on the penultimate weekend in a dramatic relegation escape. With nine games remaining of this current campaign, the Foxes are sitting pretty at the top of England’s top-flight and are favourites to lift the trophy; something very few would have predicted before a ball was kicked. Should Leicester go on to clinch the league title, where would their achievement sit in relation to other memorable footballing stories? Read more about Would a Leicester title be the biggest ever shock? 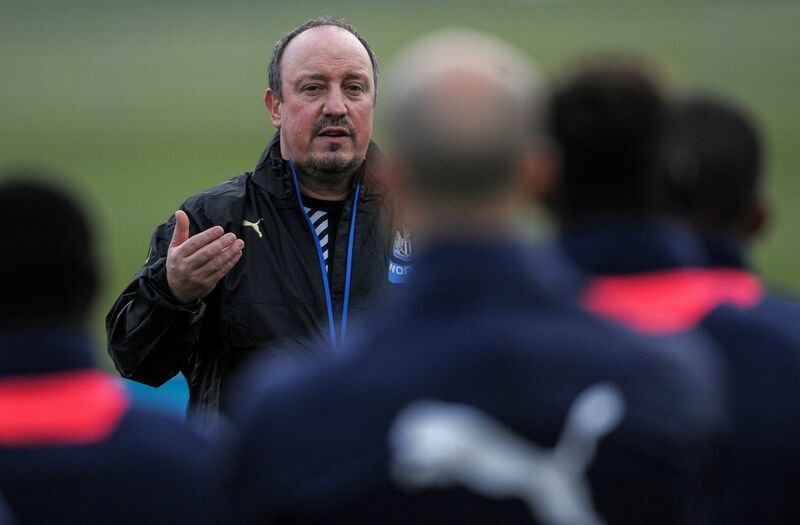 Rafael Benitez is back in English football after Newcastle United moved quickly in replacing Steve McClaren, who was relieved of his duties on Friday Morning. The former Liverpool, Chelsea and Real Madrid boss now has the short term goal of keeping his new side in the Premier League, having signed a three year contract on Tyneside. The Spaniard who had been out of work since January following his dismissal from the Santiago Bernabeu, is thought to have an ‘opt out’ clause in his contract should Newcastle get relegated at the end of this campaign. Is Pep Guardiola getting distracted? For the past few weeks there have been reports emerging that claim that Pep Guardiola has been meeting up with Manchester City’s Sporting Director Txiki Begiristain. The Spanish manager will become the coach of the Premier League club starting from the next season and it seems like Guardiola is getting things ready for his arrival to the Etihad Stadium. The chairman of Bayern Munich, Karl-Heinz Rummenigge has recently stated that it’s not a problem if Pep Guardiola is already establishing meetings and having close connections with the head officials of Manchester City. Read more about Is Pep Guardiola getting distracted? Roberto Mancini has expressed his desire to become a national team manager at some point in the future. The Italian national team is currently spearheaded by Antonio Conte, who received the job after doing a fine job with Juventus. Immediately after his arrival, though, that have been rumours thatConte would step down from his post after the Euro 2016. The lack of day-to-day involvement is seen as one of the primary reasons behind a young manager likeConte being linked to club football. Mancini has overseen a successful managerial career spanning clubs like Manchester City and Inter Milan.